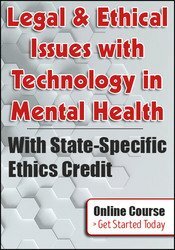 Currently, Dr. Lewis teaches courses on Law and Ethics in Mental Health that are state specific to the laws of each state. She has also lectured nationwide on the DSM-5® and differential diagnosis. She taught courses at Harvard’s Extension School and Northeastern University on The Psychology of Criminal Behavior. She is the author of Legal and Ethical Issues for Mental Health Clinicians: Best Practices for Avoiding Litigation, Complaints and Malpractice (PESI, 2016) and her latest book From Deep Within: A Forensic and Clinical Psychologist's Journey (MacMillan, 2018). A sought after consultant, Dr. Lewis works with attorneys on controversial issues such as dangerousness, competence to stand trial, criminal responsibility evaluations, and civil and criminal commitment. She works with attorneys on strategies of how mental illness might impinge on legal decision-making. Dr. Lewis has been adjudicated an expert in almost all of the district and superior courts in Massachusetts. Nonfinancial: Susan Lewis is a member of the American Psychological Association. She does not receive compensation.